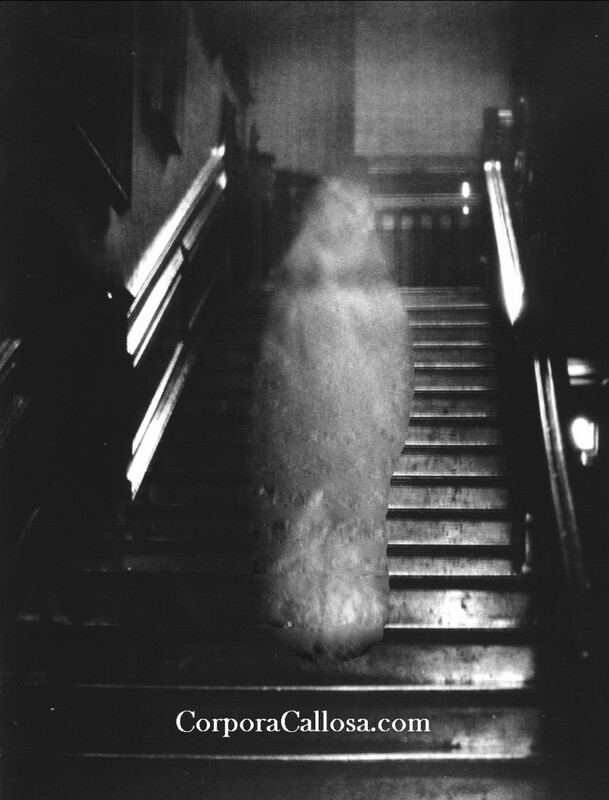 Since I’ve already covered unicorns, UFOs, and time machines, I thought I’d throw a ghost in for good measure — a ghost featured in one of the most famous ghost photos of all time, to be precise. 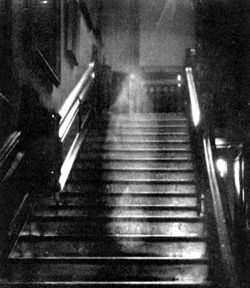 Provand and Shira’s photo of the Brown Lady on a staircase in Raynham Hall, Norfolk, England, appeared in Country Life magazine in December 1936. The faint, humanoid wisp has been called a ghost, a grease smear on the lens, a light-leak in the camera, and a double exposure.